In recent years, molybdenum wire has been widely used in modern mold processing, so it occupies an increasingly important position in the deep processing industry of molybdenum metal. 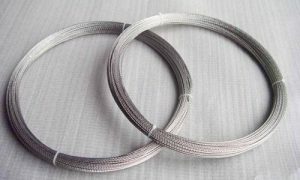 At present, there are mainly pure molybdenum wire and molybdenum lanthanum alloy wire used in EDM wire cutting. That’s a little bit of a hassle. When there’s more than one, it means choice in many ways. So, how to choose the electrode wire with molybdenum wire? The main requirements of wire cutting for molybdenum wire are the broken rate, discharge efficiency, and material loss. By improving discharge efficiency and reducing material loss, the purpose of reducing the breaking rate of molybdenum wire and improving its comprehensive use value can be achieved. Its quality performance includes the ductility, conductivity, electronic escape work, tensile strength, impact resistance and corrosivity of molybdenum wire. 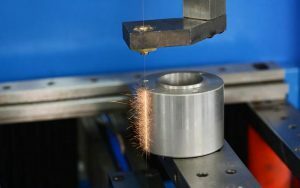 Some researchers took pure molybdenum electrode wire (pure molybdenum wire) and molybdenum lanthanum electrode wire (molybdenum lanthanum alloy wire) as experimental objects and tested their performance respectively under the same EDM wire cutting conditions. A series of comparisons were found as follows. when the temperature exceeds 1200 ℃, while the lanthanum molybdenum wire is prone to brittle fracture when working temperature over 1400 ℃. The continuously moving molybdenum wire is easily broken due to lack of strength. When φ=0.18mm, the tensile strength of the pure molybdenum wire is 1800 ~ 2200N/mm2, while that of the molybdenum lanthanum alloy wire is 1900 ~ 2300N/mm2. When φ=0.18mm, the metal cutting amount of pure molybdenum wire with discharge performance is about 4000mm2/h, while that of molybdenum lanthanum alloy wire is about 4500mm2/h. When φ=0.18mm, the diameter loss of pure molybdenum wire is about 0.0006875mm/h, while the diameter loss of molybdenum lanthanum alloy wire is about 0.0006565mm/h. 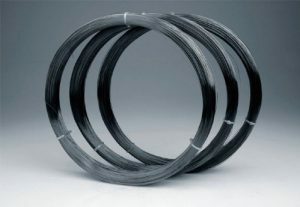 The average metal cutting amount of the single-time upper wire of pure molybdenum wire reaches 200,000 mm2, and the average cutting amount of the single-time upper wire of molybdenum lanthanum alloy wire reaches 300,000 mm2, and the electrode wire will break or lose seriously and need to be replaced. According to the above data, the comprehensive performance of molybdenum lanthanum alloy wire is better than pure molybdenum wire, therefore, the mainstream electrode wire used in the current market should be molybdenum lanthanum alloy wire. However, there are still some problems of molybdenum lanthanum alloy wire in the cutting industry, such as high breaking rate, low cutting efficiency, and short service life. Even if the molybdenum lanthanum alloy wire is the main electrode wire for wire cutting, the researchers still need to work hard to develop. For example, trace elements are added to reduce the rate of broken wires in the process of using molybdenum wire cutting and improve the discharge efficiency, so as to improve the comprehensive performance. Please visit http://www.samaterials.com for more information. What are the uses of Molybdenum and Molybdenum Alloys? How does the Molybdenum Work in Coating Industry? How Does Molybdenum Work in the Emerging Field?